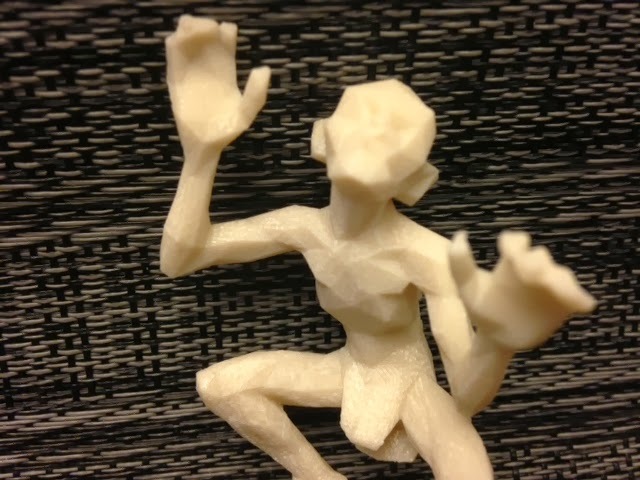 Today's print is a low-poly version of BorisBelocon's Gollum on Thingiverse. We printed this for Tim Chartier of Davidson College, who created the low-poly version of BorisBelocon's model by using Quadratic Edge Collapse Decimation in MeshLab. You can read more about Tim's work at his MathMovement site.